This title was first published in 2001. This work examines four post-Cold War interventions launched on behalf of people on the move: international action in Iraq, Bosnia, Somalia and Rwanda. Because these crises accompanied the emergence of the concept of Internationally Displaced Persons (IDPs) in international relations, they have shaped the understandings of forced displacement issues, such as ethnic cleansing, need and humanitarian action. 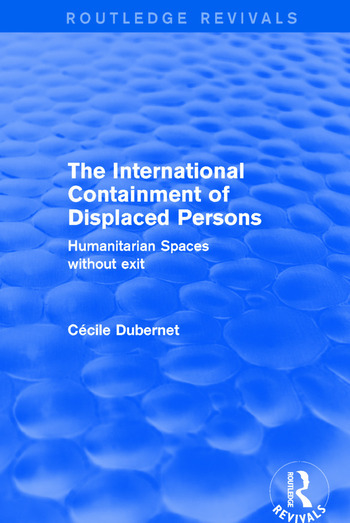 The author looks at attitudes towards IDPs, concluding that UN-backed interventions regarding displaced civilians were primarily about deterring, sometimes preventing, them from escaping places of conflict. Protection in this context became a device by which international protagonists sought to contain people on the move within the confines of their collapsed states. As a result, levels of safety effectively granted by the international community depended less on the vulnerability of populations than on Western fears of mass border crossings.